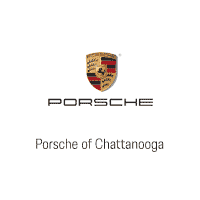 I recently purchased my second Porsche from Jerry Hickey at Porsche Chattanooga. Jerry is upfront and professional throughout the buying experience. He will go out of his way to make sure you get the exact car you want and make certain you are taken care of even after you drive your car off the lot. Additionally, Chris Bevil and Jacob Burke in the service department are the best service personnel I have ever dealt with at any dealership. Jerry is the guy to see if you are looking to buy a Porsche. The best dealership of any marque. Thank you for being here. Excellent Customer Service! Thank you Jon Lancaster and the team that help facilitate my out of state transaction. I could not be more thankful for your assistance and for your kindness. It can be a bit daunting to buy a car sight unseen, but you made it easy. I especially appreciate the awesome communication. Thank you, thank you, thank you!! I want to give Jon Lancaster and his team a BIG SHOUT OUT for their professionalism, kindness and for their communication. Buying a car sight unseen can be a bit nerving but they made my buying experience perfect! Thank you all so much, especially Jon. You always took the time to answer my questions and always got back to me in a timely manner. Thank you, thank you! Jon & Kyle made my buying experience the best! I always felt comfortable and respected as a customer. There was no pressure, no hurry. Everything was expertly explained prior to signing that good ole dotted line. I hope to have my new vehicle for at least the next 15 years...but after that - even though I'm 90 miles away - I will definitely take the time to look at this dealership. Thank you, Jon & Kyle!